Rate this Article If you haven’t experienced the wonders of VR, it’s perhaps time to give it a try. Wondering which VR headset should you go with? Well, we’re here to help! Here are 10 of the best VR headsets for your mobile device. The year of 2016 was definitely a year where virtual reality (VR) and augmented reality (AR) took the front stage when it comes to the most exciting wearable technologies that have hit the market. Well, to be honest, the front stage was pretty much dominated by AR mainly due to the launch of Pokemon Go, but VR was not very far behind. In fact, VR is touted to be the “next big thing” in Asia at least, as seen in the tons of VR games, machines and devices displayed at the largest Asian games convention, ChinaJoy 2016. That said, if you haven’t experienced the wonders of VR, it’s perhaps time to give it a try. After all, in this age of rapidly advancing technology, catching up can be quite a difficult task especially once techs like VR and AR gradually become commonplace. Which VR headset should you go with though? Well, we’re here to help! Samsung GearVR is currently the best mobile-powered VR headset you can find on the market and it’s for very good reasons. 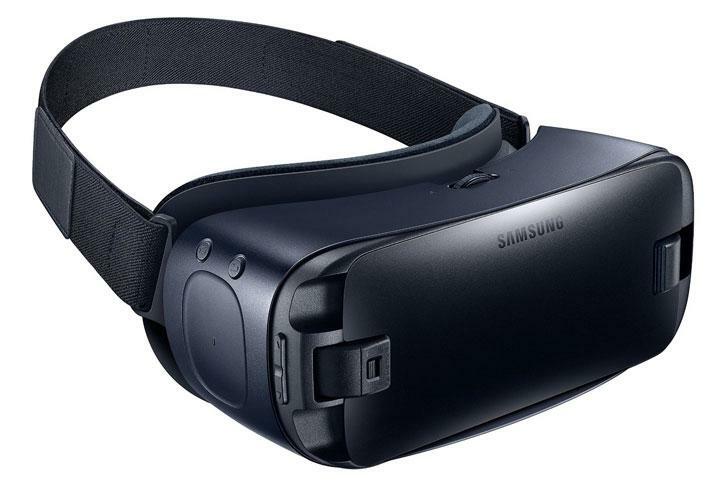 Designed by a collaboration of Samsung and Oculus engineers, the device doesn’t only offer a wide field of view, precise head-tracking, low latency and adjustable lenses; it also features tons of free “VR starter content” courtesy of Samsung and access to an exclusive GearVR store where you can download and play free or paid VR games, VR interactive experiences, 360 panoramic photos and videos, and more. Let’s not forget that by limiting the type of devices that is compatible to GearVR, only the most powerful Samsung smartphones, namely Galaxy S6 up to S7 Edge, as well as Note 5, can make the cut since these devices already come with the necessary sensors (Accelerometer, Gyrometer and Proximity sensors). Of course, aside from the touchpad on the side, which you’ll use to interact with the virtual world, Samsung is purportedly working on a wireless, bluetooth-connected controller that will allow a wider range of motion in virtual reality. At around $44.99 plus shipping, the price might be a bit on the higher end, but honestly, when it comes tom mobile VR, you’ll never get a better experience at a pretty reasonable cost than Samsung’s GearVR. Buy it now on Amazon! 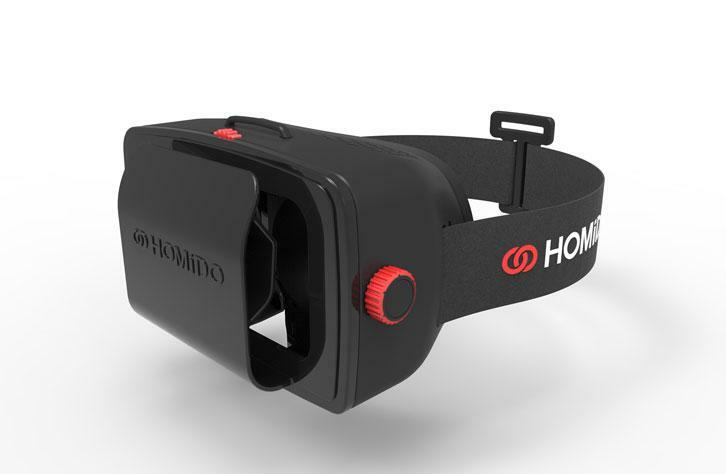 When it comes to picking a cheaper alternative that works with multiple phone models, Homido VR takes the cake. Don’t get me wrong – Homido VR is not a replacement for Samsung’s GearVR and may never be, but with a decent 100-degree Field of View (FoV), adjustable lenses and sturdy yet ergonomic design, it’s still a darn good alternative. Best yet, this headset allows you to access a whole lot more apps (which unfortunately includes some pretty bad ones – you have been warned!) in either the iOS’s App Store or the Google Play Store. It comes in 2 different colors – black and white - as well. The only major downside is that the headset doesn’t come with a touchpad, so this means that you’ll need to spend a bit more to buy yourself a compatible Bluetooth controller or gamepad if you plan on playing any VR games. What if your phone is just shy of the 6” mark that Homido VR supports? Well, here’s a great alternative that you can buy at a much cheaper price, ETVR’s New Vision headset. ETVR is pretty similar to Homido in many ways. 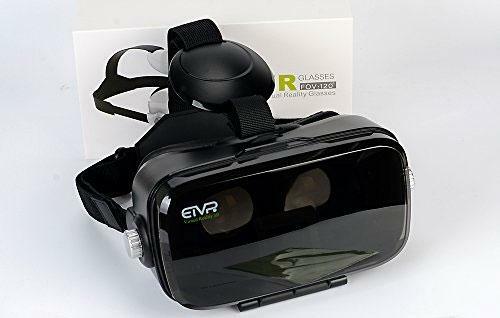 It has a pretty comfortable design, adjustable lenses, and allows its users to load up VR apps from both the App Store and from Google Play, but ETVR can support slightly larger phones more comfortably, is much cheaper and lighter in weight, and has a 120-degree FoV (as opposed to Homido’s 100-degree). Of course, if you have a smaller phone, ETVR might not be suitable for you. The only downside is that without a Bluetooth controller/gamepad or ETVR’s remote, you can’t really use this headset to play VR games. ETVR’s remote will cost you an additional $10.00 which is slightly more expensive than getting a basic Bluetooth gamepad/controller. If gaming is one of the main intentions of getting yourself and your smartphone a VR headset, then Freefly VR is a really good pick. 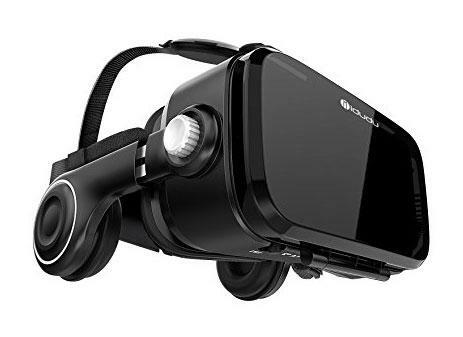 Despite having a rather “out-of-the-world” appearance that may not sit well with some users, the headset offers 120-degree FoV and access to all the VR apps on the App Store and Google Play. It also has a comfortable and lightweight design, allowing for extended play. Best yet, Freefly comes with Crossfire’s capacitive touch triggers so you don’t need to buy a Bluetooth gamepad or a controller if you don’t want to. 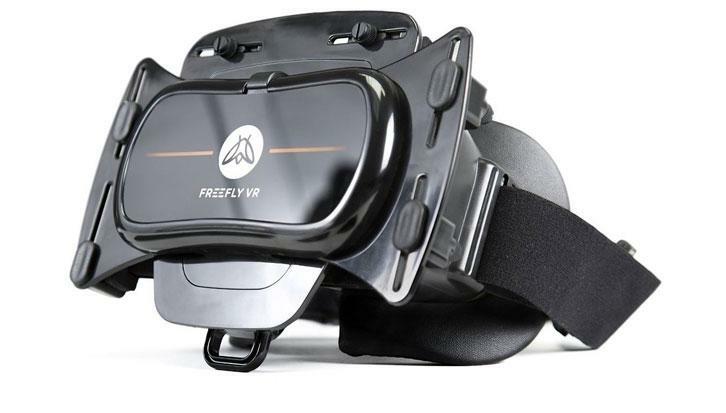 If you do, Freefly even provides a package deal where you can grab a set of Freefly VR along with SteelSeries Nimbus wireless gaming controller for a much higher price. That said, Freefly VR can be a rather expensive option for some, and honestly, its appearance doesn’t win it any extra points. So, if you really want to try VR gaming but happen to own an iPhone or any phone that doesn’t work with a GearVR, Freefly VR is your best bet. Don’t like having all those wires from your headphones messing up your virtual reality experience? Well, with iDudu VR, you needn’t worry about bothersome and tangle-prone headphone wires any longer! iDudu VR comes with built-in stretchable stereo headphones that are of pretty good quality especially if you consider the price. The headset also offers adjustable lenses, volume control (which is surprisingly rare among VR headsets) and a very much simplified version of a touchpad... a touch screen button that you can use to make menu selections or any other interaction which will usually require a tap on the screen. The headset is also pretty good in its design. It’s not only comfortable to wear, but it is quite flexible in the sense that you could adjust the straps to fit your head. However, iDudu VR has a bit of problem with its controls – the touch screen button in particular - and as a result, you might eventually need to get a wireless remote or controller instead.